You are now more likely to get stabbed to death in London than you are to find 10p in your coat pocket, which is an absolute statistical certainty. Probably. Breitbart ‘News’ and Britain’s favourite micro racist, Tommy Robinson, are adamant that the sharp increase in violent crime falls solely on the shoulders of London Mayor, Sadiq Khan, probably because he’s brown an that. However, they fail to take into account the massive cuts that the Tories have imposed on the Police Force, resulting in a loss of 20,000 Police Officers. “It’s easier with terrorism.” said a government spokescunt. So far many options have been tabled in Parliament from, you know, actually funding the Police, to making everyone wear see-through clothing so knives are visible and people can just run away. 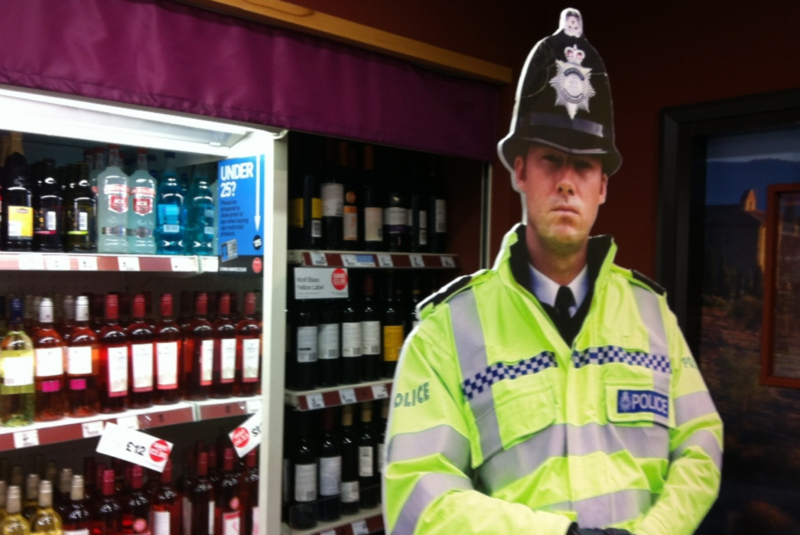 The decision to install 100,000 cardboard cut-outs of Police Officers accross the city was finally reached late last night, with the majority of MP’s agreeing that this is the most cost effective option citing the schemes success in Poundland stores.